Girard-Perregaux first produced a luxury sports watch with octagonal bezel and integrated bracelet in 1975, during an era known for iconic watch designs. Just last year they relaunched the Laureato, inspired by that 70s model, with a “Clous de Paris” dial, that is akin to the Royal Oak’s “Grand Tapisserie” dial, at Baselworld 2016, in one size. 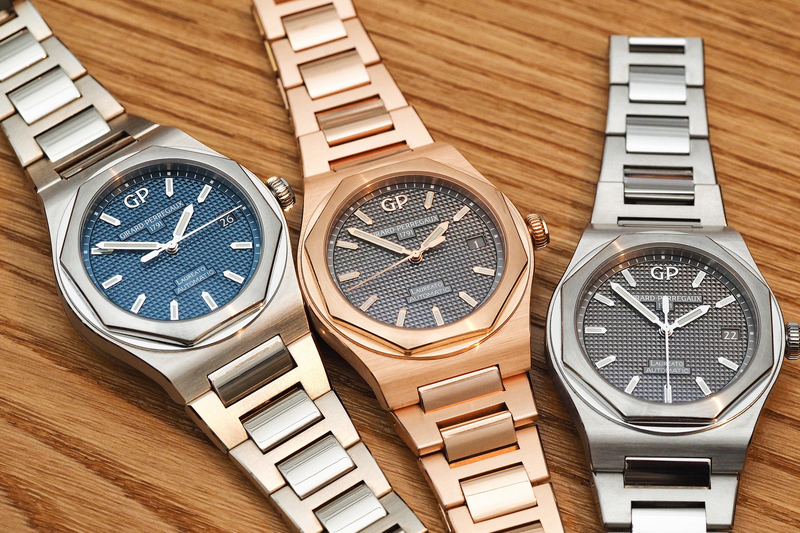 For 2017, Girard-Perregaux followed that one timepiece up with an onslaught Laureato timepieces, in 4 sizes: 34 mm, 38 mm, 42 mm, 45 mm. The 34, 38, and 42 mm models are all basic three-handers with a plethora of variations within each size. The 34 mm model is targeted towards women and comes with strap or bracelet, in steel, two-tone, or rose gold, most of which come with diamonds. Next size up is a 38 mm diameter, targeted at both men and women, and available in steel or rose gold, with strap or bracelet, in steel or rose gold, with or without diamonds. Finally, the 42 mm model is available in steel or rose gold/titanium, with strap or bracelet. 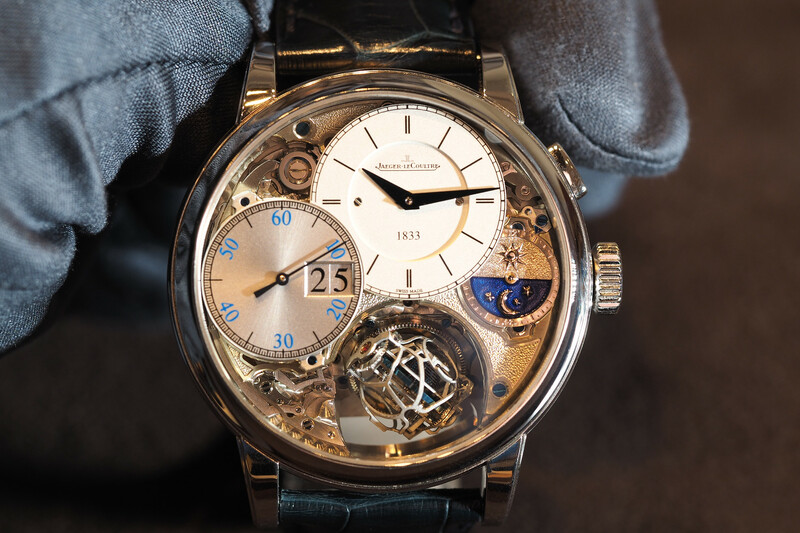 Additionally, there are two complicated variations: a 45 mm tourbillion and a 42 mm skeleton. 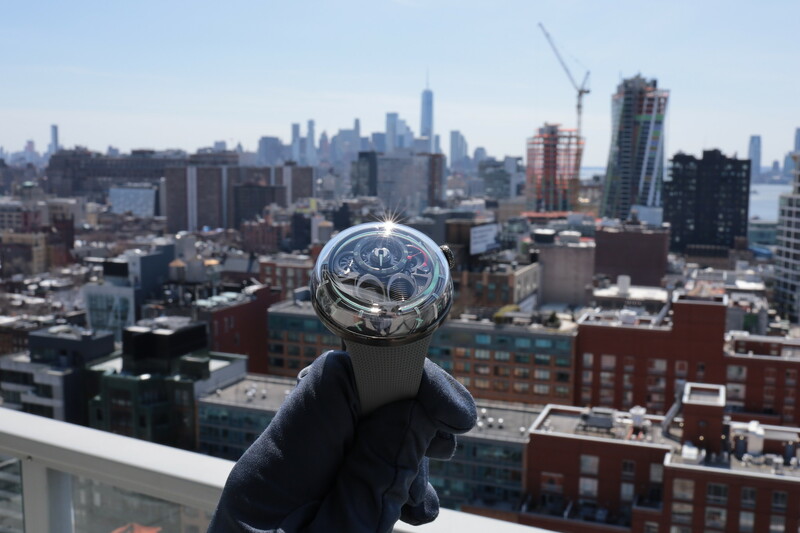 All-in-all there are almost 30 references, all powered by Girard-Perregaux in-house calibers. The 34 mm model retails from $8,800 to $31,000; the 38 mm model from $9,700 to $34,300; the 42 mm from $10,300 to $22,600. The skeleton is $32,000 in steel and $60,700 in rose gold. And the tourbillon is $93,700 in rose gold and $98,400 in white gold. Overall, this is the largest number of model references I can ever recall being launched at one time, which in itself is quite risky from a business perspective. Not to mention, it does not necessarily lend confidence to the consumer to have so many variations introduced before even proving that the collection is popular. 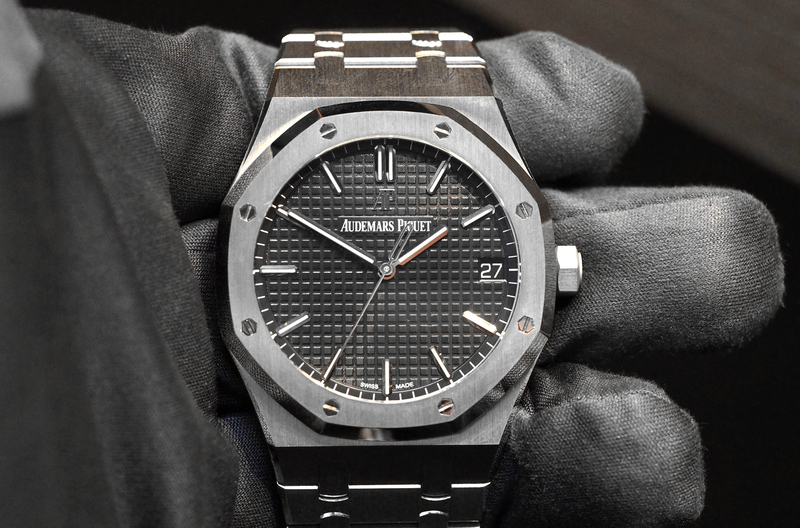 It is not a bad watch, I just think the marketing message might get muddled and that matters because collectors spending five figures, will surely want the watch line to succeed and hold value, you know, like the obvious elephant in the room: the Royal Oak. Perhaps the strategy is that if you are going to compete against one of the most legendary watches of all time, might as well do so in force. Learn more about the Laureato at Girard-Perregaux.